As anyone who lives in the coastal area of the southern United States knows, we have dealt with several major hurricane evacuations over the last couple of years that have forced residents out of their homes. While these evacuations can be an ordeal for anyone, it is especially challenging to evacuate those vulnerable citizens who are residents of nursing homes and other assisted living facilities. Though with proper planning, nursing homes can and should have a plan that protects their residents in the event of a mandatory hurricane evacuation. Sadly, we saw a lack of preparation by nursing homes time and time again during the coverage of the major hurricanes of 2017. For instance, ten elderly nursing home residents in Hollywood, Florida died after being kept inside a facility that essentially turned into an oven when Hurricane Irma knocked out the facility’s air conditioning for three days. These residents were left inside the building, despite the fact there was a hospital with working electricity just across the street. 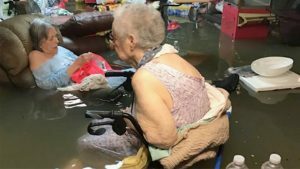 There were also horrifying images out of Texas during Hurricane Harvey that showed nursing home residents sitting in several feet of unsanitary flood water. 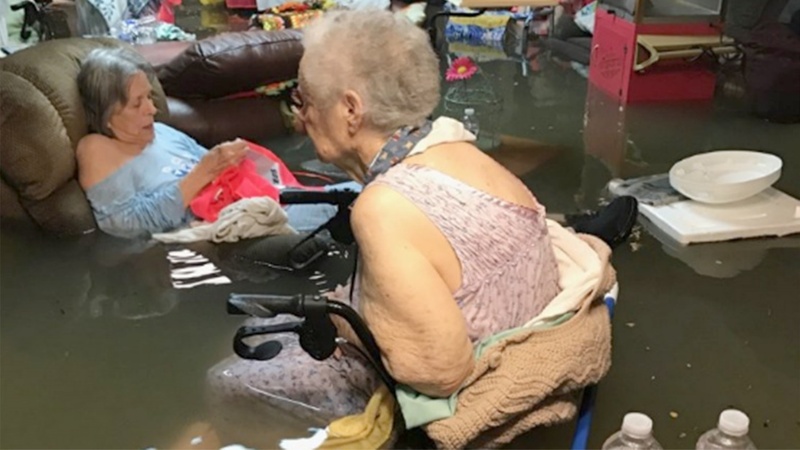 Luckily in the Texas case, the residents ultimately had a (somewhat) happy ending, as all 18 of those affected by the flood water were airlifted from the flooded La Vita Bella assisted living facility in Dickinson, Texas, and subsequently relocated to other facilities across the state. However, these residents should have never had to go through such a traumatic experience. Following the deaths inside the facility in Hollywood Florida, Governor Rick Scott proposed a permanent rule this month that would require nursing homes and assisted living facilities to have generators and enough fuel to provide 96 hours of backup power. Though this seems like a commons sense proposal, the Florida Senior Living Association, a special interest group that represents the owners of nursing homes in Florida, has moved to block the rule. As a result of the nursing home industry’s opposition, it remains to be seen what will happen in Florida’s efforts to make nursing homes safer for residents. Despite the inevitable pushback that will be received from lobbyists that represent the interest of the nursing home owners, we hope to see similar legislation passed in other states to protect nursing home residents. If you have a loved one residing in a nursing home, or are considering placing a family member in long-term care, it is important you inquire about the facility’s emergency plans in the event of a hurricane long before an evacuation is ordered. This will ensure that your loved one has a safe way to evacuate with the staff of the facility, or give the family the time to make alternative plans if needed. Having a proper plan in place could very well prevent very serious injury in the event of an evacuation. The Suthers Law Firm has been fighting for victims of abuse and neglect in nursing homes for more than 25 years. For tips on how to select a nursing home, questions to ask, and how to recognize signs of abuse or neglect, go to the Nursing Home Resource Center page at www.sutherslaw.com. Additionally, for a searchable list of nursing homes and their ratings, go to the Nursing Home Compare page on the CMS website.